Savvy Spending: Amazon: Frito-Lay Variety Pack 30 bags for just $8.07 shipped! Just 27¢ per bag! 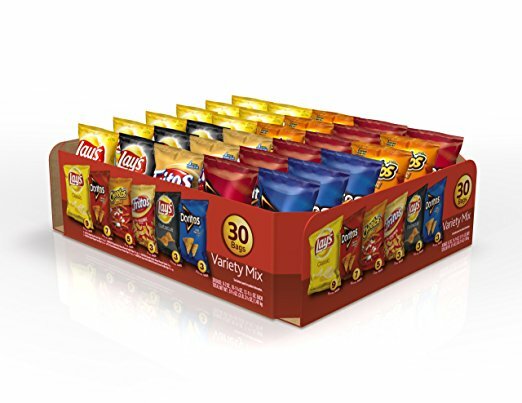 Amazon: Frito-Lay Variety Pack 30 bags for just $8.07 shipped! Just 27¢ per bag! Amazon has this Frito-Lay Variety Pack Classic Mix 30-pack for only $8.07 shipped when you opt to Subscribe and Save. That makes each bag just 27¢, delivered to your door! This would be great to have for summer picnics, camping trips, BBQ's, etc! Hurry, may not last long at this price!